This lovely appliqué and embroidery panel, showing tortoise and a fish on a dark blue background was created to exhibit with the Colombian Gold exhibition at the British Museum and displayed in the Great Court while it was on. 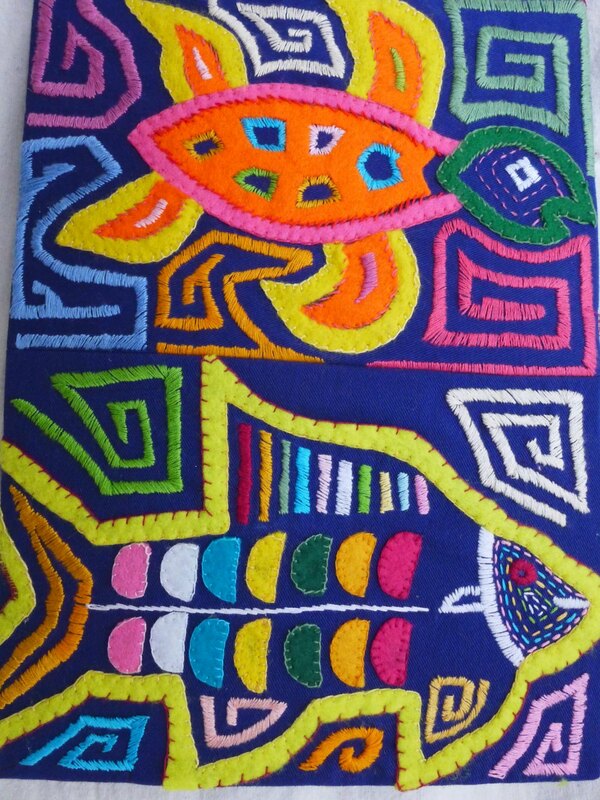 Inspired by the Mola tradition in Coloumbia, this was handmade by women at the Cultural Art Project, Fitzrovia Neighbourhood Association, 2013. This entry was posted in Uncategorized and tagged art, Charity, craftsale, Fitzrovia Festival, fundraising, shop. Bookmark the permalink.